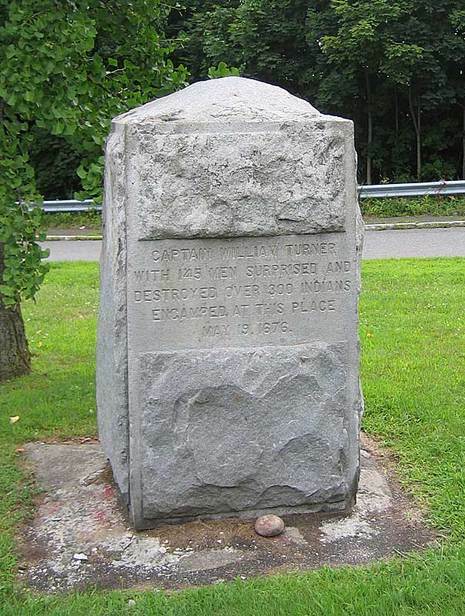 In April 1676 the Narragansett were defeated and their chief, Canonchet, was killed. 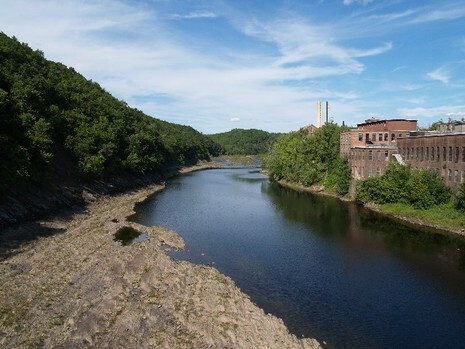 On May 18, 1676, Captain William Turner of the Massachusetts Militia and a group of about 150 militia volunteers from Hadley, Northampton and Hatfield, Massachusetts, managed to sneak up and attack a large fishing camp of hungry Native Americans at Peskeopscut at a falls on the Connecticut River (now called Turners Falls, Massachusetts). These Native Americans had been raiding the Colonists' towns and fields along the upper Connecticut River. The surprise was nearly complete and it is claimed that one to two hundred Native Americans were killed. Many jumped in the river to escape and were swept over the falls. Turner and as many as 40 of the militia were killed during the retreat. The high-water mark for the combined tribes came in the spring of 1676. They reached and attacked Plymouth Plantation itself on March 12. Even though the town stood the assault, they had shown that they could attack anywhere. All but five of the outlying settlements were deserted, and the colonists were thrown back on the seacoast. In May a militia force of 200, led by William Turner, set out from Springfield to destroy a camp of the Indians who had raided Hatfield. At dawn on May 14 they attacked the sleeping camp, and killed about 200 Indians. But they hadn't considered their withdrawal. Surrounding camps closed in, and half the force, including Captain Turner, never made it home. To compound this, in their absence, some braves got into Springfield and burned substantial parts of the town.